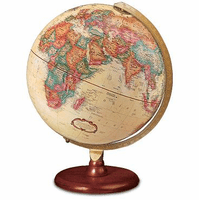 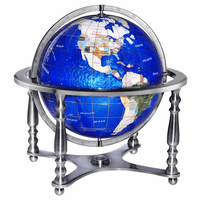 The Premier desk globe, by Replogle Globes, will add dimension and beautiful elegance to your desktop at home or office. 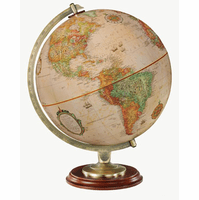 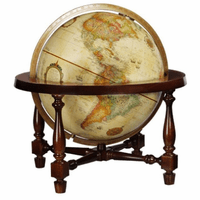 The 12' diameter globe features an antiqued white background, with countries in varied colors to dilineate the borders. 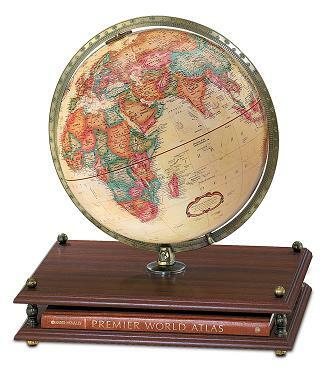 It is set in a calibrated, antique brass meridian, and is attached to a cherry-finished solid wood base. 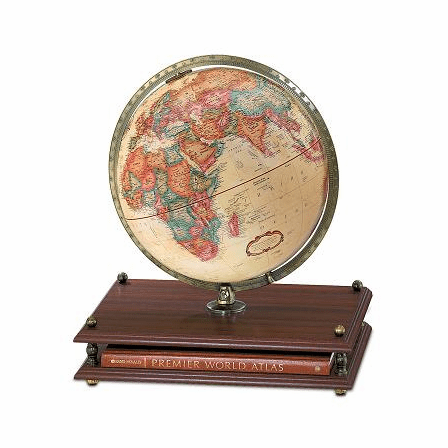 The base has two narrow shelves, joined at all 4 corners with ornate metal spindles, with an elegant hardbound atlas tucked in between, creating a beautiful display and guide to the world!